On 2 April Sadiq Khan hosted senior figures from London’s world-leading higher education institutions to discuss the implications of the Government’s handling of Brexit and its future immigration proposals. Representatives from 18 institutions took part in a high-level roundtable discussion at City Hall, organised by the Mayor, Alice Gast, the President of Imperial College London, and, Professor Peter Kopelman, the Interim Vice-Chancellor of the University of London. 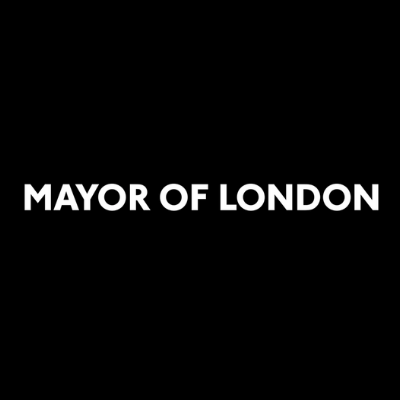 The Mayor is concerned the Government’s immigration proposals fall short on providing the flexibility London needs to attract skills and talent, including in research, innovation and teaching in the higher education sector. In particular, he believes the Government’s proposed £30,000 minimum salary threshold for skilled workers is too high and will damage a number of crucial sectors of the capital’s economy, including higher education. He also wants the UK to continue participating in European projects – such as the Erasmus study exchange and the Horizon scientific research programme – whatever the outcome of the Brexit negotiations. After the meeting, Sadiq wrote to the Home Secretary, and the Secretaries of State for Education and International Trade, setting out the key concerns discussed. London’s higher education institutions make a massive contribution to the capital: more than 110,000 international students studied in London in 2017/18, which research suggests directly contributed £3.4 billion to the economy and supported 40,000 jobs. The Mayor believes that whatever the outcome of the Brexit process, the Government should commit to the UK’s future involvement in European research, innovation and student exchange programmes. The Mayor of London, Sadiq Khan, said: “Our universities are among the very best in the world. They play a crucial role in enhancing London’s reputation as a global centre for business, research and innovation. “We have an enviable track record in attracting international students and academic talent, but this has been put under threat by the Government’s handling of the Brexit process and the uncertainty this has created. As such, I’m urging ministers to introduce supportive policies to protect these important institutions, including flexible and clear post-study work opportunities for international students. “Above all else, the Government must rule out a no-deal Brexit and give the public the final say on any Brexit deal – including the option of staying in the EU – to restore certainty to our academic sector and the wider economy. President of Imperial College London, Professor Alice Gast, said: “London is a global centre for discovery and innovation and our universities should be central to Brexit negotiations. The free flow of academic and student talent is key to London’s economic success. Interim Vice Chancellor of the University of London, Professor Peter Kopelman, said: “The University of London shares its members’ concerns about the impact Brexit is having on the reputation of London as a truly global academic centre. “Our universities have greatly benefitted from the strong influence of European academics, who have chosen to work and live in London, and the many European students studying or researching in the capital. They all make significant contributions in science laboratories, hospitals, social sciences, humanities and creative arts – and contribute to London being truly world leading in higher education.